On his latest interview with Globoesporte, left-back Filipe Luis doubled down on his claim that Lionel Messi deserved to win the Ballon d’Or. 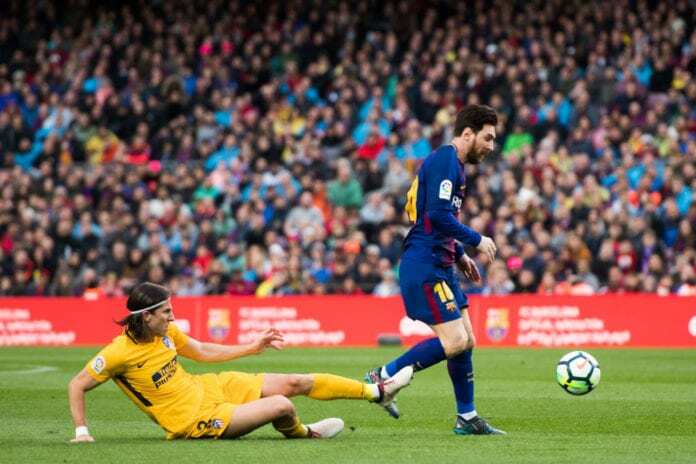 The last Ballon d’Or ceremony had Lionel Messi as a shocking fifth place in the award show, people like Brazilian Filipe Luis still fail to understand why this award wasn’t given to Lionel Messi instead of Luka Modric. The Croatian midfielder was the undisputed winner of this award, but the world of football has several individuals who don’t understand why this ceremony doesn’t just deliver the award to the Argentine player every year until the day he retires. Individual accolades such as the Ballon d’Or, the UEFA Player of the Year Award, and FIFA’s The Best Award, are given to the player who performed better throughout a single natural year. To all the voters during 2018, it was Luka Modric the one who filled in all the spaces that made him deserving of all the awards. Probably the oddest defense of Lionel Messi came from the most unlikely place, a Brazilian player who performs for a club that competes against Barcelona for La Liga every single year. It’s just strange watching a Brazilian player praising an Argentine in such a strong manner, but Luis is honest with himself. “Every time I get on the pitch it’s with the ultimate goal of not letting my rivals do anything, whether it’s Messi or any other player,” said Filipe on Globoesporte as quoted by Mundo Deportivo. “He is Argentinean, he plays for a rival club, I get nothing out of praising him. But I have to be honest,” he added. This feeling that Filipe Luis expressed during the interview is the very same feeling that a lot of people keep talking about when they discuss Messi, but the player himself doesn’t think he deserved the Ballon d’Or because he didn’t win the most important trophies of 2018. Lionel actually thinks that Modric completely deserved to win these awards and losing to him is nothing more than motivation, Messi currently is one of the most prolific players in Europe this season and he does look like he will be unplayable against any club in all the competitions. But the challenge remains the same for Messi, he is after his fifth Champions League trophy, one that Cristiano Ronaldo already has and one that Messi still hasn’t been able to achieve. In the last three tournaments, Lionel hasn’t been able to deliver good performances in the most important matches against more accessible squads in the Champions League. The rival, in turn, is Olympique Lyonnais in the Round of 16, playing against the French squad is everything that Messi is worried about at the moment. Do you agree with Filipe Luis, or did Messi not deserve the Ballon d’Or last year? Please share your opinion in the comment section down below.